Cats need meat to help them build up taurine in their systems. A deficiency in this essential amino acid could cause permanent blindness. These days, you have all sorts of diets out there: gluten-free, dairy-free, meat-free… the list goes on and on. But be careful about imposing these diets on your pets. In fact, the most common cause of taurine deficiency is feeding a vegetarian diet to cats. 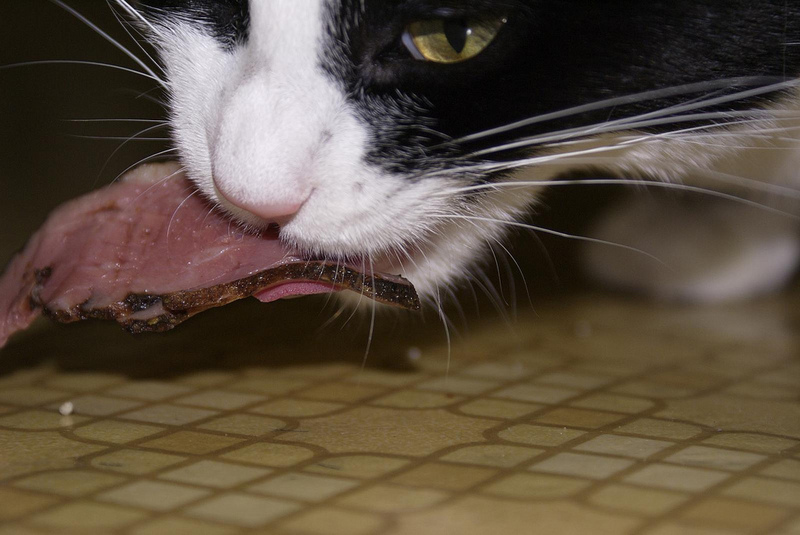 This is because cats are obligate carnivores, meaning they must eat meat (which is rich in taurine) to stay healthy. The problem with a vegetarian diet is that cereals and grains are low in taurine, and cats are unable to manufacture their own from smaller building blocks. As the name suggests, this is a deficiency disease, and so the symptoms are not sudden and dramatic but come on slowly over time. However, when they develop they are serious and may include blindness, heart failure and clotting disorders. Although taurine deficiency can cause infertility and blood clotting disorders, the symptoms that are most commonly recognized are blindness and heart disease. The blindness is a result of the retina not being able to process light. Signs of blindness include wide, dilated pupils that do not constrict down to slits even in bright light. Although a blind cat may bump into things, his whiskers are immensely valuable at navigating around, so it is not always obvious when a cat has gone blind, especially if his eyesight was poor for a while and he learned how to adapt. 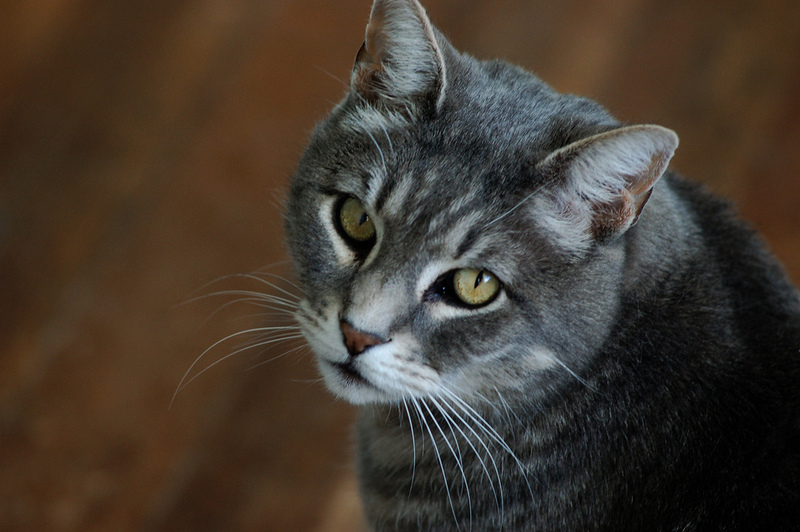 Taurine-deficient cats suffer from a specific disease of the heart muscle called dilated cardiomyopathy (DCM). This causes the heart muscles to become saggy and baggy, and the heart loses tone — a bit like a balloon that has been inflated several times and loses elasticity. These cats lack energy, breathe through their mouths and have rapid, shallow respiration. Cats lack the enzymes necessary to build taurine from basic building blocks. They have no option but to consume ready-made taurine as found in muscle and meat. Taurine plays an important role in tissue metabolism (how it burns energy). One of its specific jobs is transporting potassium and calcium ions across heart and photoreceptor cells, and when taurine is lacking, this interferes with the abilities of the heart and retinas to function normally. A physical examination of the cat and a history of a poor diet are sufficient to flag concerns about possible taurine deficiency. To find an absolute answer, veterinarians run a blood test that looks at the absolute levels of taurine in the blood. Immediately after diagnosis, the cat must take a taurine supplement of around 250–500mg of taurine twice a day in addition to switching to a well-balanced diet. After 12 weeks, providing the cat is eating well, the supplement can be stopped. Sadly, there is no treatment for the blindness that accompanies long-term taurine deficiency in cats — it is permanent. In terms of the heart condition, the degree of damage must be assessed on an ultrasound scan, and then supportive medications must be started that make the most of the residual pumping ability left in the heart muscle. Unfortunately, once it has occurred, damage cannot be reversed, and so the aim is to halt deterioration and improve the circulation. Taurine deficiency is entirely preventable by feeding your a balanced diet designed specifically for cats. “Retinal degeneration in the taurine-deficient cat.” Schmidt. Trans Am Acad Ophthal, 81 (4 pt 1). “Echocardiographic evidence for myocardial failure induced by taurine deficiency in domestic cats.” Can J Vet Res, 58(1): 6–12.